The innovative One-Touch automatic can opener can open most cans between 53mm and 153mm diameter. 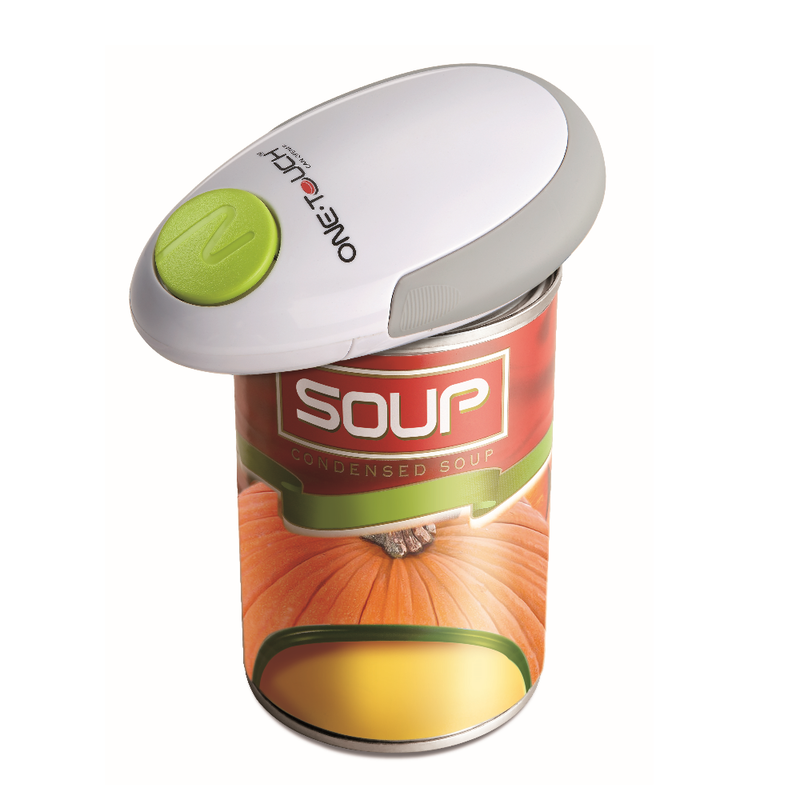 The opener ‘walks’ around the can and switches itself off automatically, leaving an easy-to-remove lid with no sharp edges. Perfect for seniors, or anyone with weak hands.